Purchase this product now and earn 7,360 Reward Points! 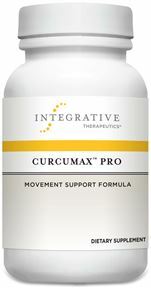 Why choose a natural, professional strength pain† formula? While there are many available options for occasional pain relief, but the safety of continuous use and efficacy of low dose combinations remain questionable. 1. Cuomo J, Dixon B, Dern A, et al. Comparative bioavailability of unformulated curcumin and a curcuminphosphatidylcholine complex. Submitted for publication. 3. Hollman PC, Bijsman MN, van Gameren Y, et. al. The sugar moiety is a major determinant of the absorption of dietary flavonoid glycosides in man. Free Radic Res 1999;31(6):569-73.